Hello — how do I go about canceling my plan? 2. 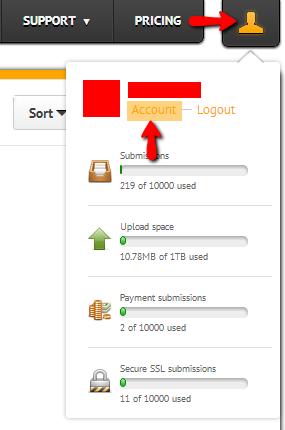 Click on Account under a person looking icon at the upper right corner of your page. 4. Click Cancel Subscription button on the new window. "Your subscription has been scheduled to be cancelled manually." The wording of this message is confusing; is there something additional (i.e. "manual") that I need to do? We have manually downgraded your account to FREE as requested. However, you still need to do the below steps to make sure you will not be billed for the renewal. Here are the steps to cancel via PayPal. Feel free to re-upgrade your account by going to Account Settings and Upgrade. i wish you put this instructions clearly on the subscribtion page instead of sending it in private messages upon request! this trend of: a click away to subscribe, but no way to unsubscribe without calling the customer service is just aweful! and promise me it's gonna end very soon.